And that means disease, specifically West Nile Virus, which in 2014 was detected in over 30 California counties, causing 798 reported human cases and 29 fatalities. Populations of the fish that are natural predators of those mosquitos have declined as well, as water becomes too shallow. And it’s not just humans at risk, but birds too — 2,442 birds who died of the virus were discovered in 2014. Other diseases are at risk of spreading among animals with more intensity as well; as water sources shrink, more animals have to crowd ever tinier pools increasing concentrations of disease and the likelihood of their spreading. And water doesn’t just get dirtier for animals as it gets scarcer, but for people too. Rural communities dependent on groundwater from wells, and in areas of heavy agricultural activity, are particularly at risk. "Many groundwater basins in California are contaminated, for example with nitrates from over application of nitrogen fertilizer or concentrated animal feeding operations, with industrial chemicals, with chemicals from oil extraction or due to natural contaminants with chemicals such as arsenic," Linda Rudolph, co-director for the Center for Climate Change and Health in Oakland told Reuters. Other animal populations - rats and ants in particular — are shifting to more urban, or human-adjacent areas as their natural water sources disappear. Rats have been startling urban areas with their sudden visibility. "They seem to be everywhere," Mary Ann Hoffman, 59, told the San Francisco Chronicle about a recent surge in the rat population at Heron’s Head park in San Francisco, where she walks her dog. "You expect to see them now and then, sure. But like this? In the trash cans, running across the parking lot, in the bushes? No. It's different, and it drives the dogs nuts." The unusually warm winter weather can also trick the rats into thinking it’s springtime, and in 2014 there was an early rodent baby boom as a result. Argentine ants - one of the planet’s most invasive species - live in giant supercolonies, like the one that stretches 561 miles along the coast of California. 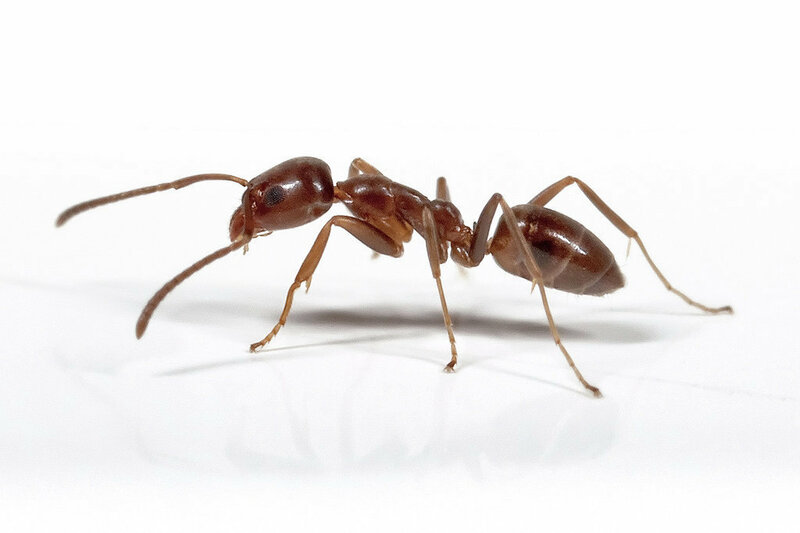 A particular species of ant — the Argentine ant — is causing headaches as well. And it’s an ant that doesn't even care if you've spent hours cleaning up every last bread crumb, since they’ll invade homes in response to weather changes, regardless of the presence of readily available snacks. Only 2.6 millimeters in length, they can get in almost anywhere. For one Santa Barbara pest control company the infestations have become so widespread, they've stopped booking new appointments, while still carrying out 1,200 sprays for ants a month, reports Noozhawk.